12th placed Swindon Town beat rivals Bristol City 3-2 in their last game in League One at the County Ground. Last weekend Town lost 1-2 at Preston North End to continue a winless start to the league campaign on their travels. Swindon are 13th in the League One form guide with two wins, two draws and two defeats. 21st placed Tranmere Rovers are on 5 points. Rovers have lost their previous three League One games. They’re 22nd in the form guide with one win, one draw and four defeats in six. Tranmere have failed to score in their three previous games, which included a 0-2 defeat against Stoke City in the League Cup. On their travels, Rovers have lost three and won once in League One this campaign. In all League, FA Cup and Football League competitions, Town have faced Tranmere Rovers on 64 occasions, winning 27, drawing 16 and defeated 21 times; scoring 99 and conceding 80. 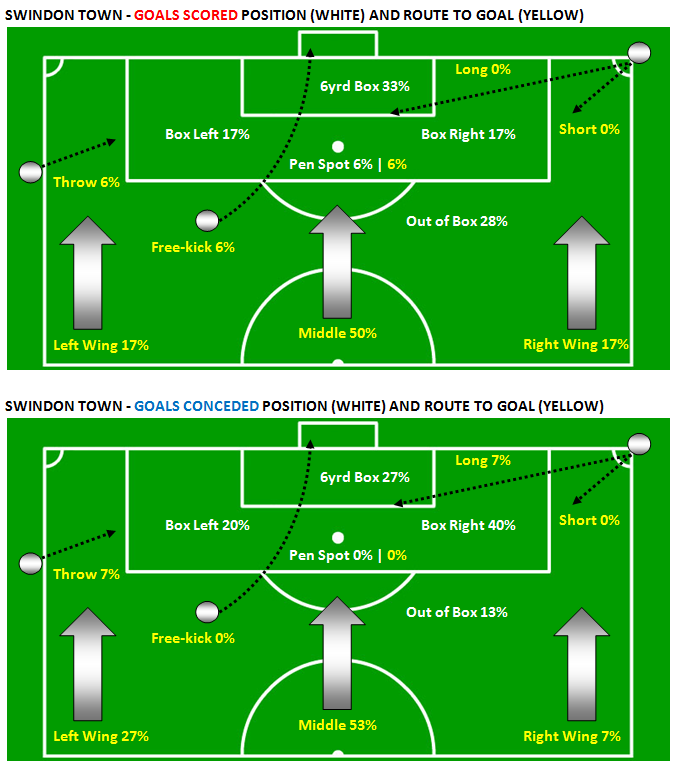 At the County Ground, Swindon have a record of 20 wins, 8 draws and 4 defeats, scoring 60 and conceding 28. Swindon haven’t lost in six meetings since a 0-1 scoreline at Prenton Park in February 2009. Tranmere haven’t won in Swindon in five attempts. Their last win was in March 2006 when goals from Chris Greenacre and Sam Aiston defeated Town 2-1. Town have scored three or more goals against Tranmere in five of the previous eight games. If Town can avoid conceding the first goal then we’ll stand a strong chance of a victory against Tranmere Rovers. Swindon have a very good record as hosts against the Wirral side and given they’ve continued their slump in form from last season, Town surely look favourites to remain unbeaten at the County Ground in League One.